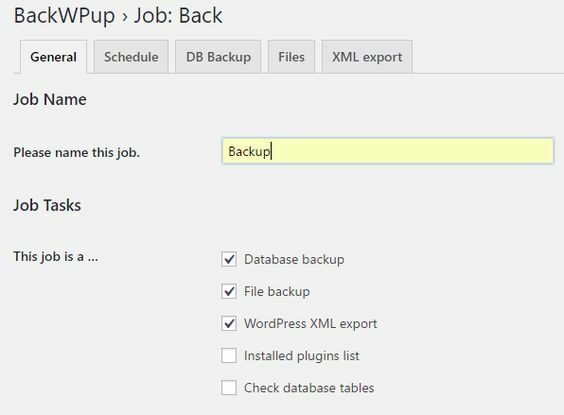 How to automatically backup your WordPress site? Backup is a vital part of the blogging process. Cybercriminals may hack your website anytime. We can’t predict what they will do and won’t do on the captured site. However, we need a backup file to restore the blog to its original state. 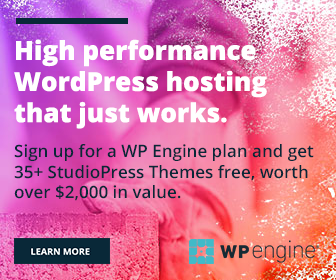 Which is the best plugin to backup your WordPress site? We can’t manually backup a website always. Install and activate a relevant plugin to automatically backup your database and contents into some cloud storage service like Google Drive or Dropbox. We’ll show you how to automatically backup WordPress into Dropbox in this post. Sign into your WordPress site, open Plugins menu and tap Add New button. Search for BackWPup or install the plugin from WordPress library. Activate it. Now BackWPup will add a new menu in the left sidebar. Mouse hover to it to show sub menus. Choose Add new job link. You will see five tabs in the beginning. Give a name for your backup job. Job Tasks – Select the contents of the backup file. Unlike other similar plugins, BackWPup can take and send your XML export file alone. Check all boxes for backup of your entire site. Backup File Creation – Customize archive name if needed. Choose a file type. You can opt for a ZIP, Tar, Tar GZip or Tar BZip2 format. Job Destination – Where do you want to store the backup file? It will work with FTP, Dropbox, Microsoft Azure, Rackspace, SugarSync, an S3 service or a separate folder. We selected Dropbox in this example. Tap Schedule tab from the top. It asks you on how to start the job. Click the second with WordPress cron option. In the bottom, set a schedule to automatically backup the site. Choose a time during which you receive comparatively less traffic in order to reduce the server load. For detailed customizations, switch to Advanced scheduler type. You can schedule and run backups on multiple days there. Tap DB Backup tab to include or exclude database tables. Choose GZip to reduce the backup file size. In the same way, you can include or exclude folders and plugins under Files tab. Decide what to export from your site. Change export file name, compression tool if needed. All these options are available under XML export tab. Finally, go to Dropbox tab to authenticate the app to access your cloud storage account. Hit Get Dropbox App auth code button that shows next to App Access to Dropbox option. So BackWPup can create a separate folder inside of the Apps folder in Dropbox and save your backup files there. A new tab will open for connecting to Dropbox. Grant necessary permissions to show the authentication code and finish the integration. Copy the code and paste it into the blank box in the job profile. Save Changes. Done. The app is successfully connected to the Dropbox. Under Backup settings, you are able to set a destination folder name and number of files to keep in the folder. When you reaches the limit, the oldest entries will be automatically deleted. Website owners can further manage the job by going to BackWPup > Settings page. It includes a maximum number of retries, server load, log files etc. After the scheduled backup time, visit BackWPup menu, then Jobs to know the status of your job. It will show the last run time along with download option, log file and the next backup schedule. That’s all. The backup file is successfully saved in your Dropbox account.